The biggest, oldest and boldest of the three Jams, the #GSJam appeals to everyone interested in a design-based approach to change. With its broad appeal, it’s a great place to learn – or get better at – a whole set of design tools, methods and mindsets, which can be applied to any project. Or for experienced participants, the unique Expert Challenge lets you test your skills against the clock, and against your peers on five continents. 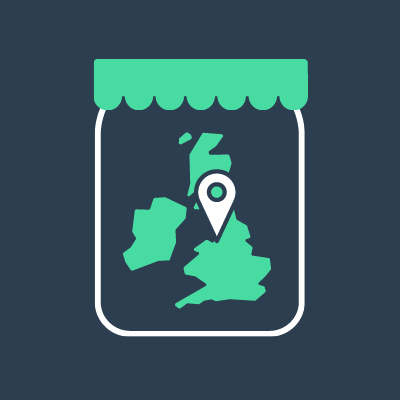 With over 100 Jam locations all over the world, you won’t have to look far to find a Jam site. Or why not start your own? For this Global Service Jam we decided to add a new track to the mix of the Jam to (re-)attract more experienced Jammers with a challenging question that the world really needs an answer for. This became our "Deep Jam pilot". The secret theme – The Big Question – was: How can we design out plastic waste from our everyday life as citizens and consumers? Instead of a theme video, the Deep Jam came with a 30-page Jammers Research Starting Pack. This pack was designed to help Jammers to explore the problem of plastic waste, and start to make sense of it from their local perspective. It supported them to ask the right questions and find answers. Upload all through the Jam, not just at the end! Try to have at least two upload sessions per day. Upload full documentation of your research data and interactive prototype. This will be many files, not just one! You can change your uploads any time, before and after you hit “Submit”. Upload all through the Jam, not at the end. Teams should upload all through the Jam, and must "Submit" (make visible) their Project before 1500 local time on Sunday. Don't worry, uploads can be changed any time, before and after Submission. across the Globe in only 48 hours. A small number of Experienced Jammers piloting the deep dive – Tackling a Global problem by exploring it locally. 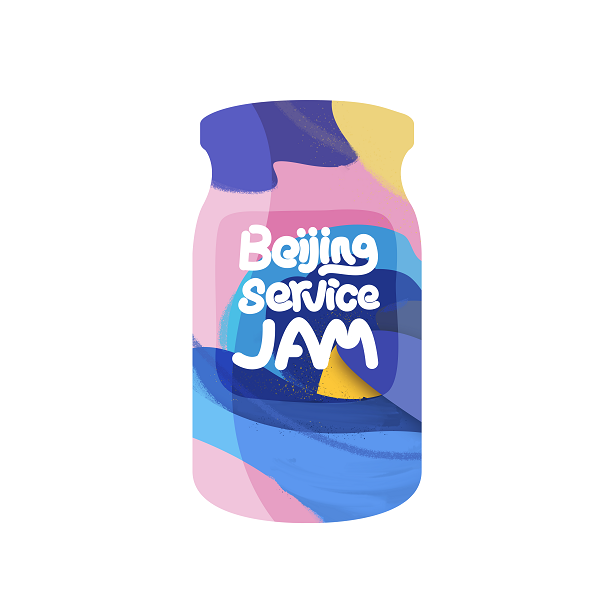 After a fun an exciting 2018 comeback get ready for the 2019 edition of the BA Service Jam. We are aiming to make this an even more exciting and inspiring experience than last year. March is a beautiful time of the year in Buenos Aires, come jam with us! Come and join us for the first La Plata Service Jam! On the 29th-31st March 2019, participants with a diverse set of backgrounds will be coming together to work in a global challenge. The event is open for everyone who's eager to learn new methods, new tools and share their experiences. The Global Service Jam is a non-profit event which has been set up to promote the discipline of service design, and to allow interested people to exchange techniques, ideas and experience in a relaxed, energetic environment. 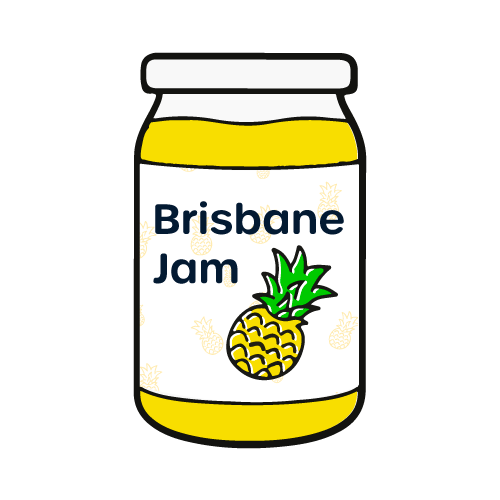 Brisbane Jam is our first official event, run by a collective of Passionate Brisbane Designers with many years of experience in Service Design. Super-charge your creative confidence with a team to make a new service in 48-hours, be part of the global movement. In a spirit of experimentation, co-operation and friendly competition, teams will have 48 hours to develop brand new services inspired by a shared theme. 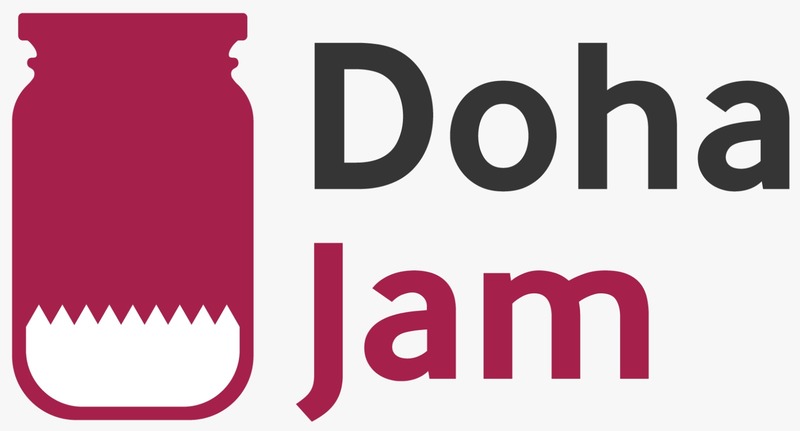 Der Service Jam LINZ ist Teil der GSJam Community und ein Non-Profit Projekt – wir wollen damit einen Beitrag für mehr Kreativität und Innovationsfähigkeit in unserem Land leisten. Wir freuen uns die Linz Edition in der Grand Garage in Linz machen zu können, einem Ort, wo PROTOTYPING groß geschrieben wird und genau darum gehts ganz im Sinne des weltweiten GSJam Mottos: Doing, not Talking. Also krempeln wir gemeinsam die Ärmel hoch, strengen unsere Hirnwindungen an und geben unseren Ideen Form und Gestalt. Denn das macht in einer weltweiten Community noch viel mehr Spaß. An event for innovators in Manama City at the weekend of the last week of March to develop new innovative services. It targets; - People who are working in service design. - Students, academics (20 - 30) years old. - Entrepreneurs. An event for innovators in Brussels the last week of March to develop new innovative services. It targets; - People who are working in service design. - Students, academics - Entrepreneurs - Jobseeking service design enthusiasts. Bringing together the Belgian service design community. Transforming Service Through design innovation. Join us for another inspiring Global Service Jam! We're hosting the Ghent edition for the second time in a row. We hope to make it even more fun and exiting than last year. 🎉 Looking forward to jamming together! Gabz Service Jam has been running since 2015. 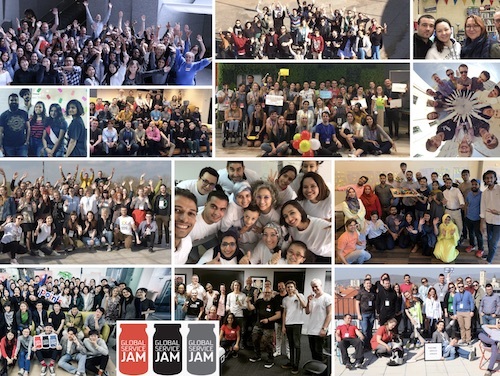 We've grown since then from hosting our first and very successful jam of 30 jammers, to more interesting jams of good multidisciplinary teams leading to more diversified and interesting solutions. Come and JAM JAM with us this year! 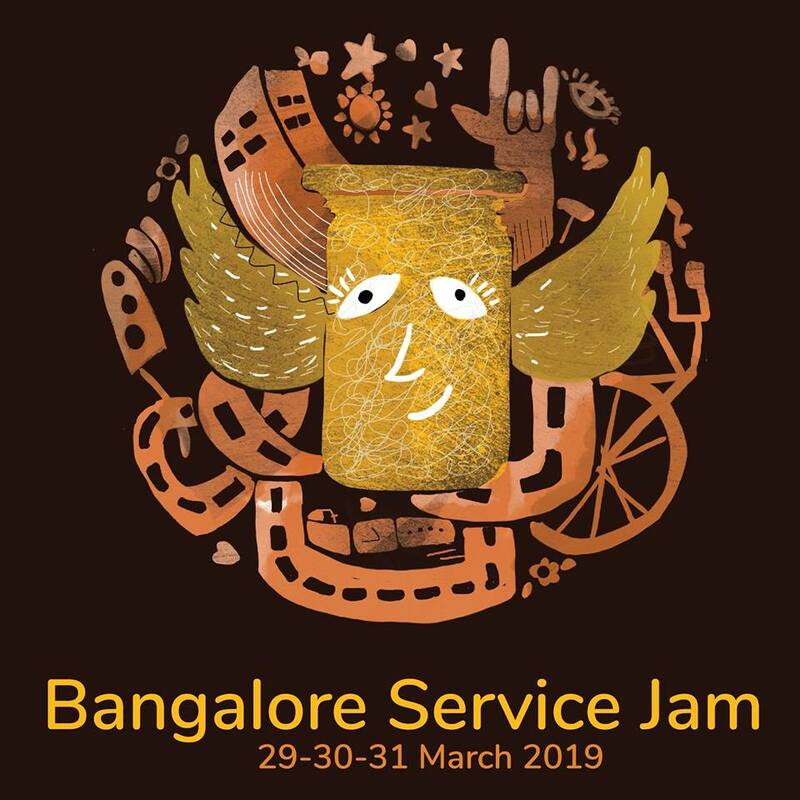 Bacabal Service JAM is an opportunity to interact with new people, to exercise and acquire new knowledge in a pleasant and challenging environment. You will be amazed at the pace of the 48 hours we're preparing: seeking information, proposing solutions, reviewing concepts, having fun, enjoying positive stress, making friends, expanding contacts and professional horizons, thinking and acting madly / rationally, enjoying yourself with the experiences and even doing business. We are doing everything so that, in the end, you will be counting days to live all this again. 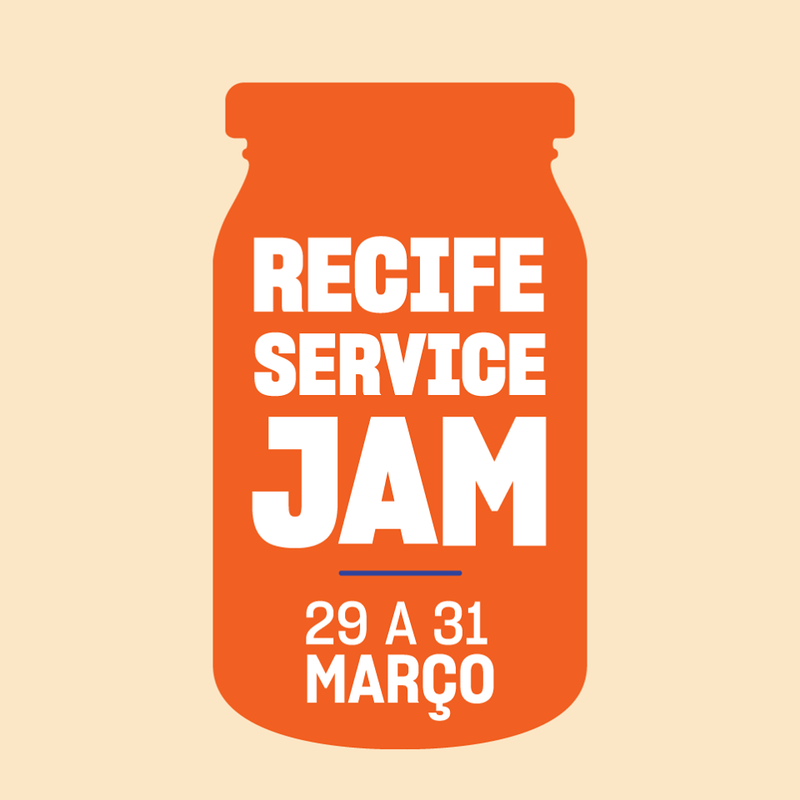 This is the second time Belém will host the Global Service Jam. The first experience was a total success in 2012 and in 2019 the event will be even more complete. Join us and come to Jam together for a better world through Service Design! Registration opens soon, and will be limited. Agora Franca interage com o mundo, unindo pessoas, com diferentes formações, crenças e costumes, a fim de co-criar algo que poderá solucionar inúmeros problemas encontrados em nosso planeta. No FRANCA JAM, você e sua equipe terão 48 horas para desenvolver, por meio de ferramentas de Inovação e através da abordagem do Design Thinking e do Design de Serviços, um novo serviço. Um tema é lançado simultaneamente em todo o mundo e todas as equipes lutarão contra o tempo para alcançarem, da melhor maneira, seus objetivos. Porto Alegre vai ter o prazer de estar sendo sede de um evento mundial ao qual faz tempo que não acontece por aqui. Gostaríamos de convocar a gauchada para as 48horas mais insanas e fantásticas. Vai acontecer no Espaço da SIMPLIFY. Mais uma vez a Recife Service Jam traz GSJ para a terra do carnaval em linha reta. Estamos preparando novidades ara esse ano. Nós curtam no Facebook e fiquem ligados. A Jam ocorre no último fim de semana de Março, em algum lugar no Recife Antigo. Logo, logo, tem novidades. The Service Design Jam - São Paulo is going to organized by the group of women in Design and Innovation with the partnership of IED São Paulo. A São Paulo Service Jam é a edição Paulistana do Global Service Jam, eventos sem fins lucrativos, no qual profissionais de diversas áreas se reúnem para criar serviços e soluções para tornar sua cidade e, até mesmo o mundo, um lugar melhor por meio do design.O evento acontece simultaneamente em mais de 120 cidades ao redor do mundo e todos os projetos desenvolvidos nessas cidades durante o Jam são enviados para a organização internacional para servirem de referência para as outras comunidades de design! O evento dura 48h, acontecendo nos dias 29, 30 e 31 (sexta, sábado e domingo) desse mês (março) e começa com a apresentação do desafio surpresa na noite de sexta! O desafio é global e todos os projetos deverão segui-lo! Esse ano quem está organizando o Jam de SP é a rede de Mulheres atuando em Design e Inovação, mas o evento é aberto a qualquer pessoa que tenha interesse em criar um futuro mais interessante, diverso e inclusivo a todos. A Service Jam Curitiba é a edição local da Global Service Jam e reúne diversas pessoas para explorarem maneiras de mudar o mundo ao seu redor usando o design e criatividade. Em até 48 horas (aqui em Curitiba 27 horas! ), Jammers em aproximadamente 100 cidades ao redor do mundo trabalham simultaneamente para criar protótipos inspirados com base no mesmo tema secreto. A Jam segue uma programação com diversas técnicas e métodos do Design de Serviço, passando por momentos de pesquisa com usuários, ferramentas de criatividade e técnicas de prototipação. Local edition on Rio de Janeiro, Brazil. Currently looking for partners. Working hard to put Rio back into the map, after our city's last participation, back in 2013. Our motivation is to propagate innovation initiatives within Rio. We believe that collaborative and creative journeys have transformed the way of developing business, solving problems and is aligned with the agile culture that has been positively impacting companies. 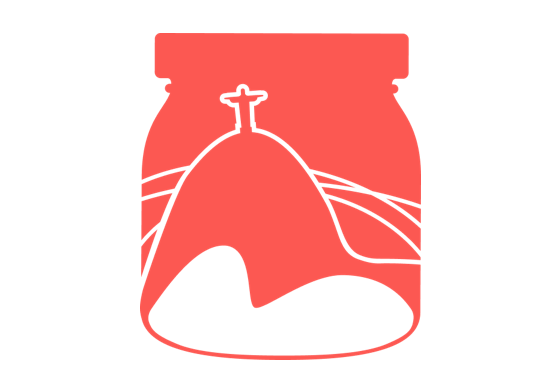 Pela primeira vez na cidade de São Luís teremos uma Service Jam! A proposta da Jam é conectar pessoas de várias cidades do mundo ao mesmo tema surpresa e fazê-las vivenciar o processo de design durante um fim de semana, promovendo o aprendizado em design de serviço e experiência do usuário NA PRÁTICA. Os participantes são separados em grupos multidisciplinares que estarão não apenas falando sobre design, mas também trabalhando com novas pessoas, desenvolvendo ideias e concretizando um projeto que possa tornar o mundo um lugar melhor. Everybody is welcome to come and join our creative community and become part of unforgettable mind trip that lasts 48 amazing hours :) Knowledge, new contacts, prototypes and real projects - that's it! Let's Jam Together in Sofia, Bulgaria! 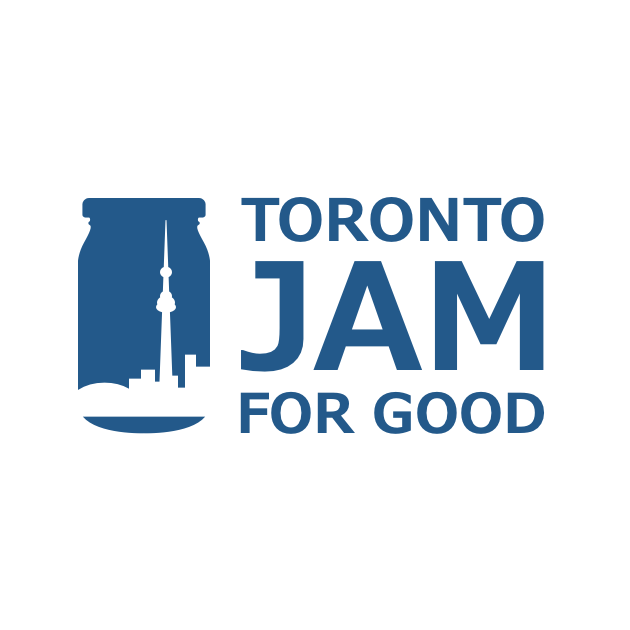 The Toronto Jam for Good, leverages more the experience of a team that has been organising the Global Service Jam, IoT Lab for Good, FinTech Jam for Good and other similar events to bring together designers, developers and strategists to make the world better, one new service at a time. Come join us for 48 hours of interactive learning and doing, you will learn Design Thinking via Service Design Framework through a non-traditional workshop experience led by MethodSquared, where we focus on actual practicing of HOW to innovate with empathy! Be prepared to have fun and be Engaged, Inspired, and Empowered. 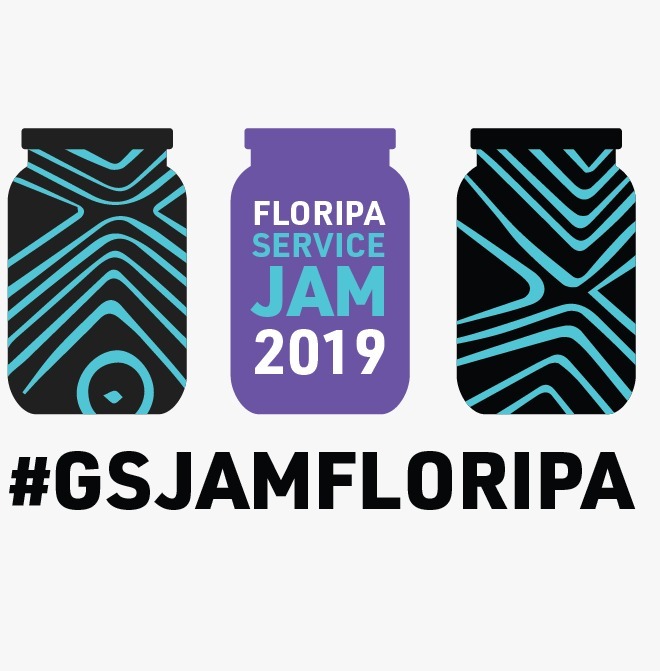 We're excited and proud to be hosting for the 6th year in a row, and on behalf of the volunteer team at Innov8Collective, we look forward to hosting you and jamming with you along with the Global Service Jam community. Regus, 9th floor of No.28 Xueyuan Road. Hangzhou becomes the center of inspiration, the center of innovation, and the center of the new economy entrepreneurs. It's so friendly to private sectors and people here are well-educated. We want to build a SD community for those great talents to share the creative and Inspiring thoughts and understand the importance of the service design. Let’s take 48 hours to fight for the future from nothing, building and up on 2019 Hangzhou Service JAM! Shanghai is the center of innovation in China. People here are well-educated and comprehensive. We want to give more opportunities for people in Shanghai to try out the Service design process and build a SD community in China. Join us! 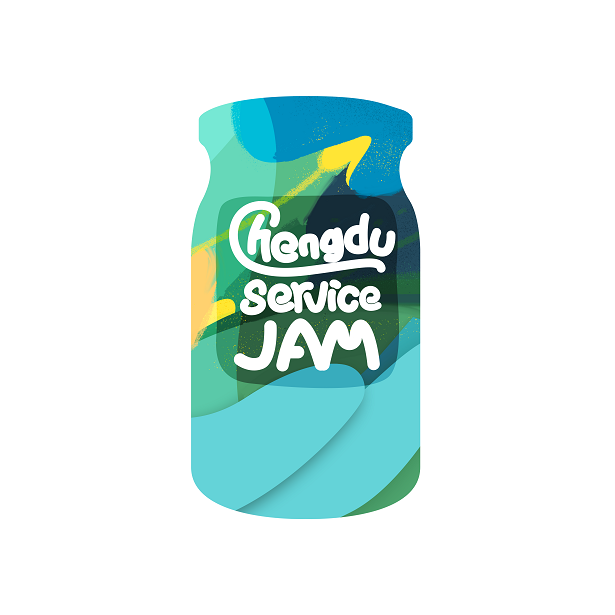 Join 2019 Shanghai Service JAM! Let’s have fun during the 48 hours. For most of people , 48 hours' just an ordinary weekend. But for the Global Service Jammers We will Take participate in the social welfare improvement activities, Deep dive into ourselves brainstorming and imagination, Create great ideas to change the world. We are a group of designers, a group of artists, a group of people who are really looking into the society issue and creating a new way to embrace the world! Welcome to be our friends and experience the way of design! We would like to bring you more insights internationally and share experiences with you all. Theworld's biggest event for #servicedesign #designthinking #innovation in2019. With the spirits of experimentation, co-operation and friendly competition,teams will have 48 hours to develop a brand new service inspired by a sharedtheme. Super-charge your creative confidence with a team to make a new servicein 48-hours. We hope you join us jamming together. It's very first time that GSJ will be hosted in Wuhan, also the first time to collaborate with NGO for planning the activities. This time, we will focus on some social issues and involve people from social organization, trying to bring them new idea in solving the issues. 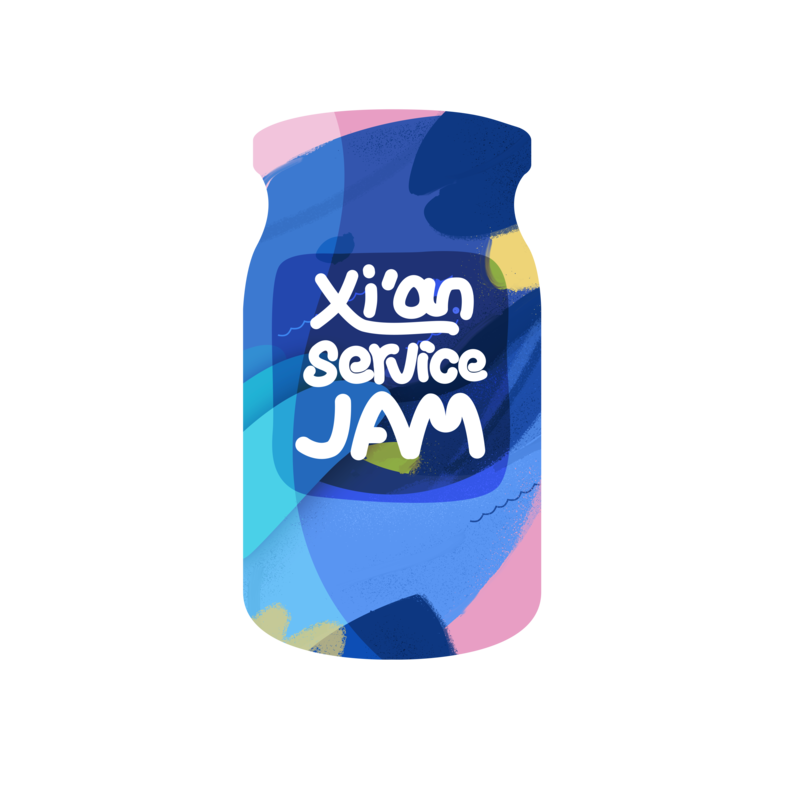 We're excited to announce the first ever Global Service Jam in Xi'an, China. Design as a practice is always evolving. There is no better way to catch up the trends than work with new people in this industry and try out new design approaches firsthand. Come and join us this year, let's meet each other and make our idea real. Desde hace cuatro años, Háptica, consultora de Diseño de Servicios, lleva organizando el Service Jams alrededor de todo Colombia: Barranquilla, Santa Marta, Pamplona y Armenia. Este ha sido el espacio propicio para inspirar a los ciudadanos que querían y quieren generar cambios en sus ciudades o municipios. 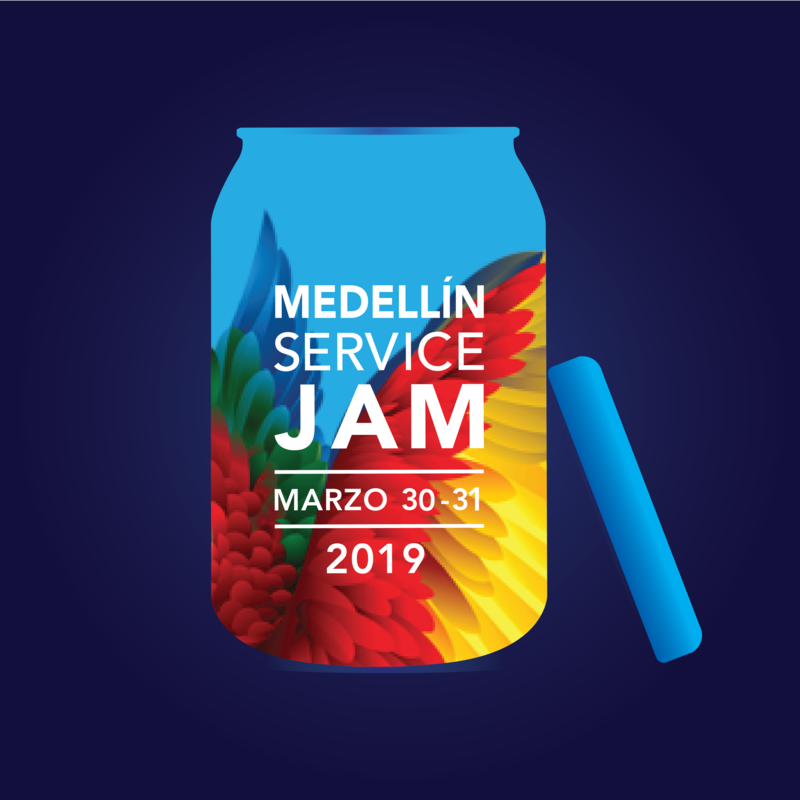 Ahora, después de dos años, el Jam vuelve a la capital colombiana para realizar el Bogotá Service Jam 2019. El Jam realizado sería liderado por el Capítulo Service Design Network Colombia y la Universidad EAFIT. Este evento apoyaría la necesidad de la ciudad de Medellín de tener espacios para entender y llevar a cabo el diseño de servicio, generando conversaciones que nos ayuden a potencializar estos temas y generar un ecosistema que potencie el desarrollo de la ciudad. Global Service Jam es un encuentro de cooperación de personas interesadas en fomentar la experimentación y la innovación, Una iniciativa global que pretende extender el diseño de servicios, crear comunidad y, hacer de este mundo un sitio mejor. Equipos multidisciplinarios de jammers de más de 100 ciudades del mundo se unen para trabajar en simultáneo durante 48 horas y diseñar servicios inspirados en un tema global secreto. Come and join us for the second edition of the Zagreb Service Jam, a three-day service design event with a single goal – to change the world in only 48 hours. You can expect to learn about service design and design thinking, to hear great motivational lectures, to work and network with more than 70 participants and to leave inspired to apply design thinking wherever you go. See you there! 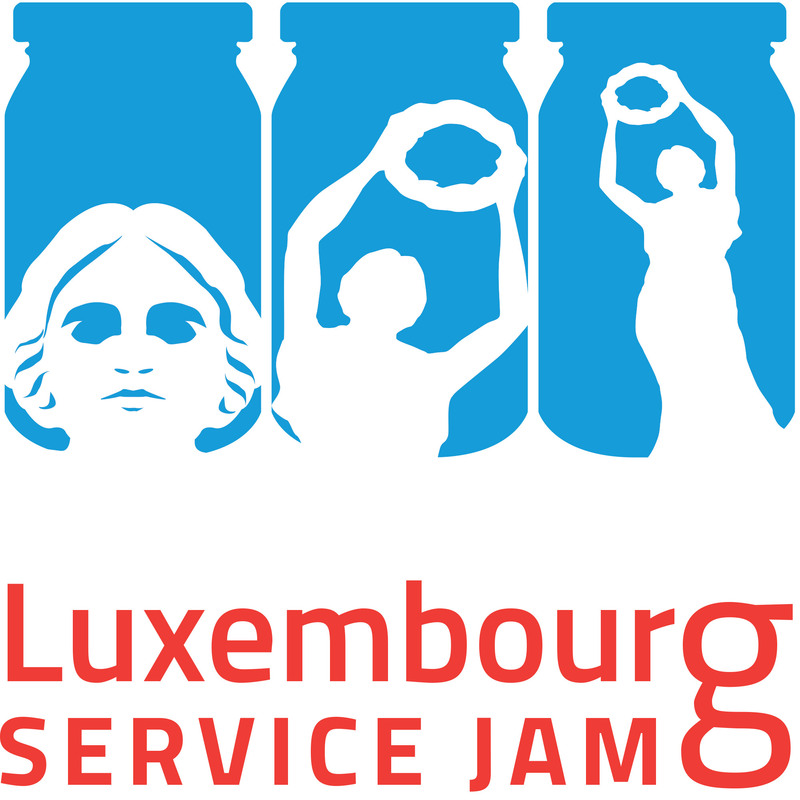 The Service Jam Prague welcomes you to 48 hours of amazing Jamming!! 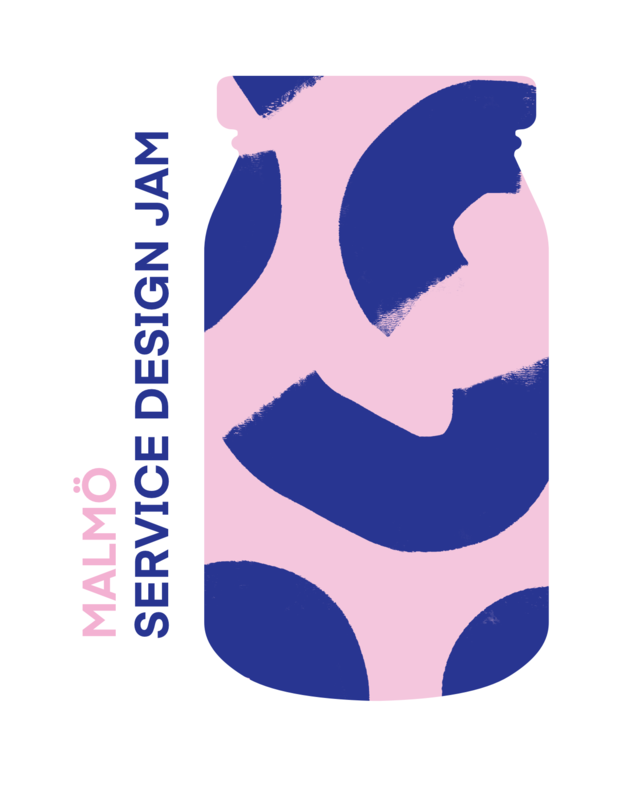 Copenhagen Service Jam is an opportunity for people who are interested in creative problem solving and service design methods to investigate, ideate and create new service concepts based on a mystery theme. 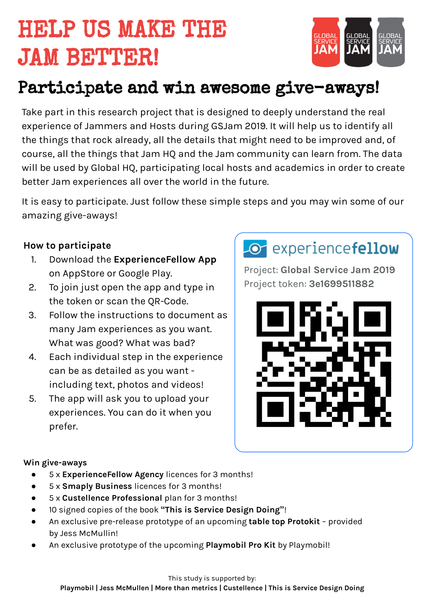 Be part of the first Global Service Jam in Ecuador. Using the methodology of design thinking to find a solution for a certain problem. You will meet people, have fun and learn while working with an amazing team!! 48hrs para cambiar el planeta. Se parte del Global Service Jam en Guayaquil, utilizando la metodología de desing thinking para encontrar un problema a nivel mundial junto a más de 40 países. Harás networking y te divertirás mientras aprendes! Helsinki Service Jam is happy to join the global Jam family for the 7th time! We invite people from all different backgrounds for a weekend of fun, prototyping, design and networking. Service Jam is a great place to learn new skills and to meet new people. Service Jam is open to everyone. Whether you're a seasoned pro or just heard about Service Design, there's something new to everyone! Come with us to experience Global Service Jam's in Lappeenranta, last weekend of March. During the weekend you and your team will research real problems, then ideate, prototype and create solutions together. Third Global Service Jam held in Oulu. Expert coaches will guide participants in the design process and teach methods for user standing users and creating solutions. Event will be held in downtown Oulu at Oulu Game LAB. 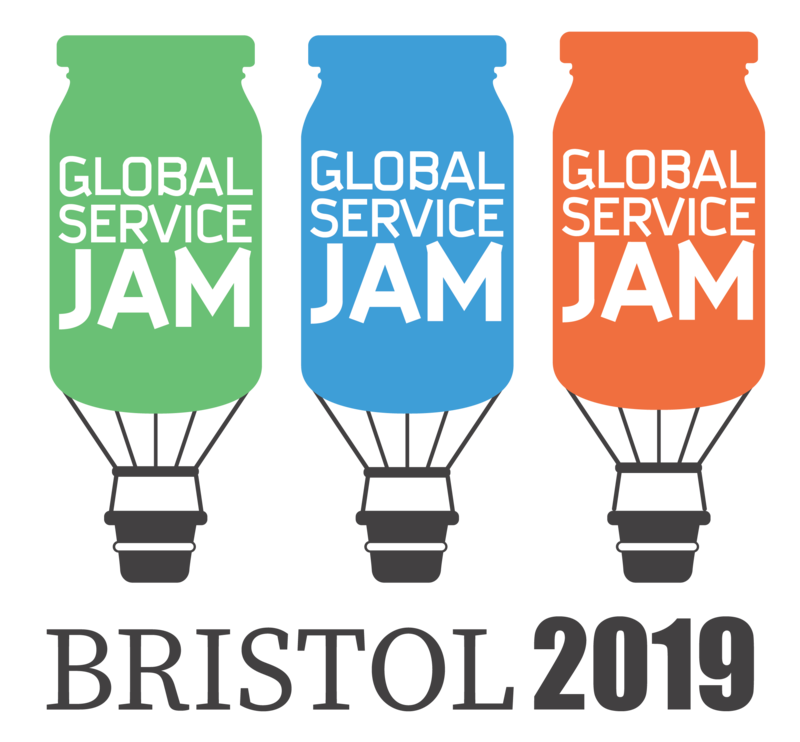 Join us for Global Service Jam session in the last weekend of March 2019. In the event you will join other people to solve real problem around the global secret theme by using service design and design thinking methods. Lot's of doing with other people, researching, exploring, testing, creating ideas and prototypes. And all this in a very high paced and energized environment. You don't need to be design or UX professional to participate but come as you are. Let's learn together. This pop-up jam is cooperating with sold-out Service Jam Helsinki. Service jam Tampere is a gathering of design enthusiasts and those interested intrying a hands on approach to designing change. We want to bring together a diverse group of people interested in design to create something new, exciting and fun! L’évènement de design de service le plus grand au monde est axé sur l’innovation et ça va être mieux que jamais ! 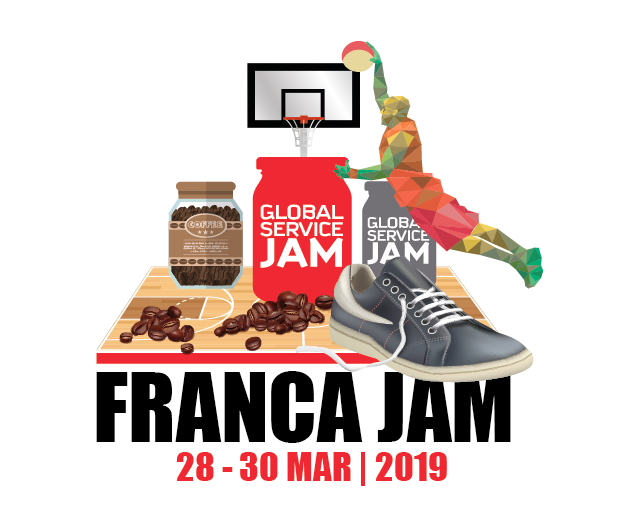 Rejoignez le Global Service Jam Lyon le dernier weekend de mars 2019 ! Nous serons plus de 100 villes dans le monde ! Fédérés par un thème commun, des groupes se forment à plusieurs endroits dans le monde pour 48 heures de co-création : street research, idéation rapide et prototypage instantané de nouveaux services sous le moto « Doing, not talking ! ». À la fin des deux jours, ils partageront leurs résultats avec le monde entier ! Nekoé spécialisé dans l'innovation par les services organise pour la neuvième année consécutive l'Orléans Service Jam qui fait écho à l’événement mondial le Globale Service Jam dont le thème principal tourne autour du design de service. En France, cette manifestation se déroulera du 29 au 31 mars 2019 au Lab’O d’Orléans. L’Orléans Service Jam s’adresse à une multitude de personnes venus de tous horizons. Au cours de cet événement, les participants sont invités à explorer et découvrir différentes méthodes dans le but de prototyper un service. Tout ça de manière ludique et dans la bonne humeur! Paris Est Service Jam is dedicated to promote service design Paris Est Service Jam, le lieu francilien pour découvrir dans la bonne humeur le design de service. Organised by former and actual students from IAE Gustave Eiffel, Master Marketing and Management of Services Avec la participation active de diplômés et d'étudiants du Master Marketing et Management de Services de l'IAE Gustave Eiffel You're welcome, it's free On vous attend, c'est gratuit ! 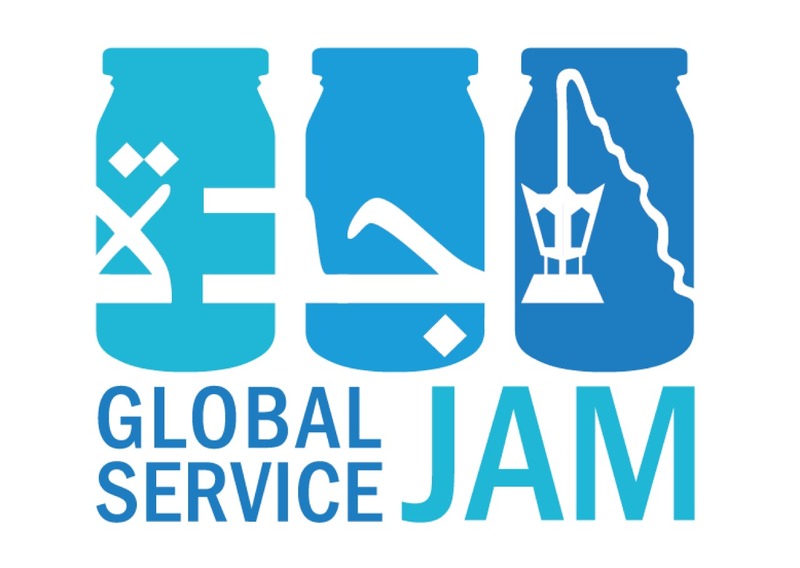 For the first time ever, Karlsruhe is joining the Global Service Jam Community. 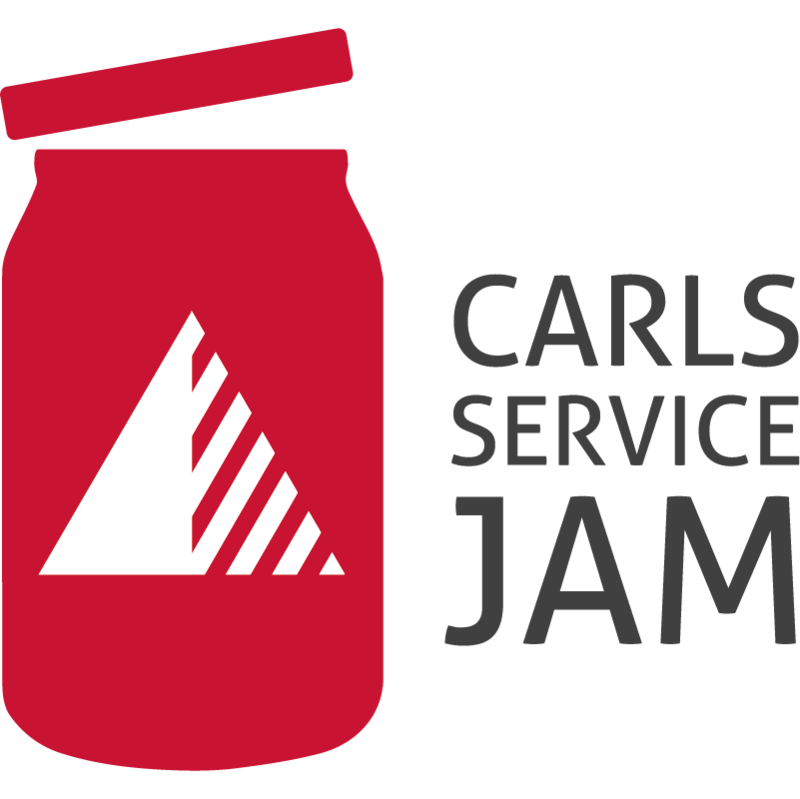 With the Carls Service Jam, we connect both the idea of the Global Service Jam, the city of Karlsruhe and big thinkers and innovators like Carl Benz and Karl Drais. Join us in developing new ideas and solutions for a new tomorrow. This year Cologne service jam is hosted by SDN and Denkwerk. We are excited to get to know all the Kölner jammers, explore the methods of service design and have a lot of fun bringing our ideas to life! 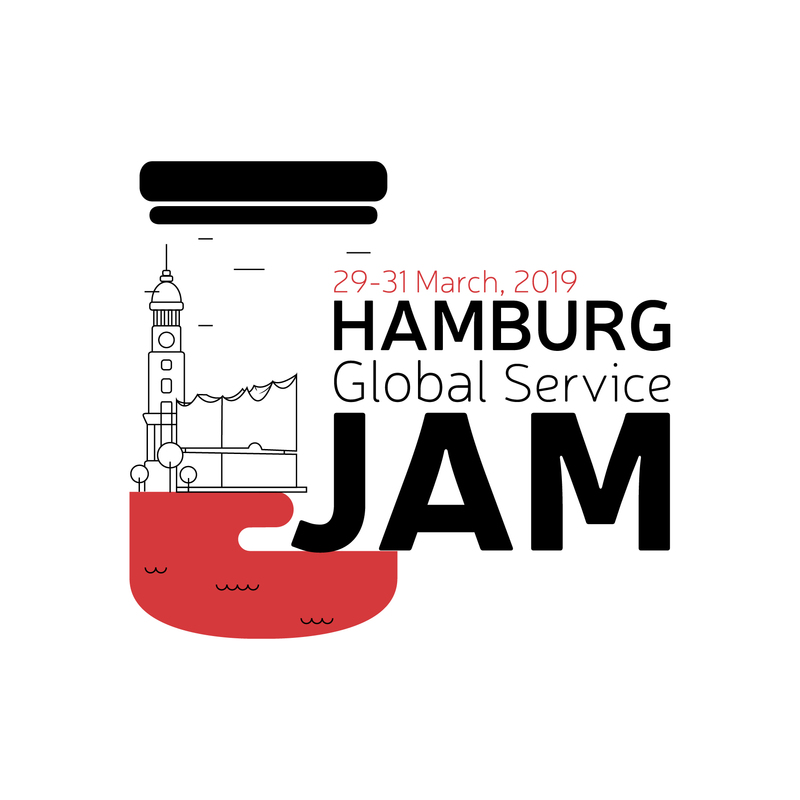 Hamburg Service Jam invites everyone from the region (and beyond) to join us for a 48hours of jamming session. Does not matter what your professional background is– everyone can join, of any age. Join us for a hands-on Design Thinking or Service Design journey and get to meet people from different professional background. Please contact the organiser for tickets and any further questions. The Munich Service Jam 2019 in the beautiful Autscout24 headquarters is part of a 48h intensive jamsession, taking place all over the world. You’ll learn or intensify service design and design thinking-based skills, pick up a bunch of new ideas and practices, meet talented people and share your work and ideas with others. We’re looking forward to see you! Our Jam Team has been running various Jams in Dresden starting in 2013. Since then have been on board every year for the GSJ, so we are looking forward very much to jam again, with the event that started it all ;-) We are a grown team of facilitators and organisators of Design Thinking events with various professional backgrounds: Service Designers, Coaches, Business Consultants etc. 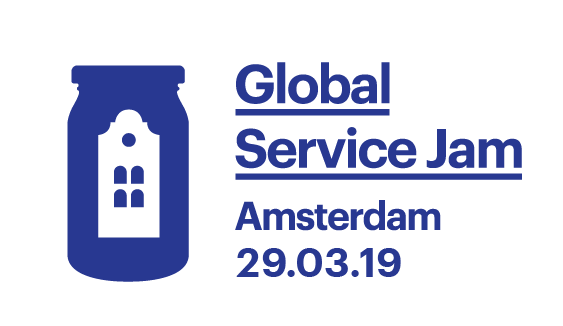 On the 29th-31st March 2019, people who are interested in service design will meet all over the globe for the 9th Global Service Jam. Jam Berlin is part of this global service jam event with 60+ Service design enthusiasts who are eager to learn new methods and tools and share their experiences. In this INTENSE weekend of experimentation, co-operation and friendly competition, teams will have 48 hours to develop innovative ideas and solutions inspired by a shared theme. Wiesbaden will take part in the global challenge once again in 2019. For the third year in a row, we will hold a creative service concepts jam session in 48 hours. Let's come up with some great ideas and prototypes highlighting team spirit and simple service design methods. Our focus is on "doing" following the motto of "Doing, not talking". Did we mention it’ll be a lot of fun? You don't need to have any practical knowledge or experience. No matter how old you are or where you come from, everybody is welcome to join! Hong Kong Service Jam is a design-driven hackathon, it's part of a global movement of jams that are taking place over one weekend in cities across the globe. Join us to design and prototype a new service. Jams are a crazy place to express, work and most importantly learn to play at work. People from Jams walk out with very trans-formative experiences, sometimes personal and other times, professional. Don't let the word design fool you here, this is an open for all JAM. All we are asking is 48 hours to help you see things differently. 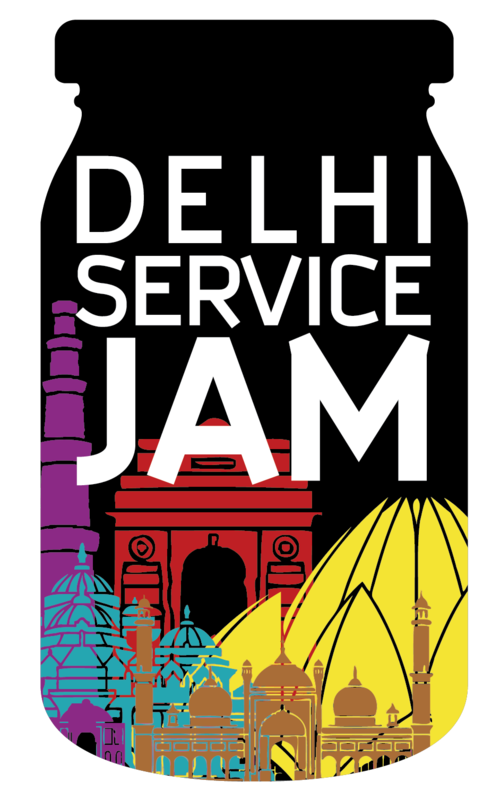 You all are invited to join Delhi Service Jam. Be a part this enthusiastic group which believes in the power of small change. How in today’s world even small steps can make powerful impact. Be a part of this small initiative. Our mantra for this Jam! 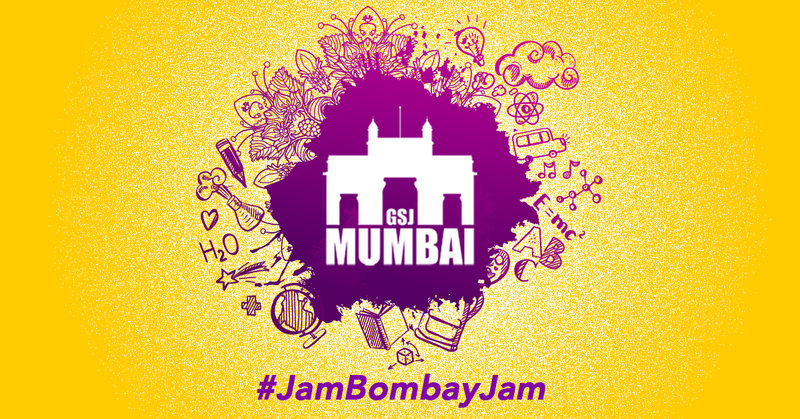 We invite you all to join the Jam and be a part of global movement. 48 hours of creative riot.. with lots of fun and frolic! 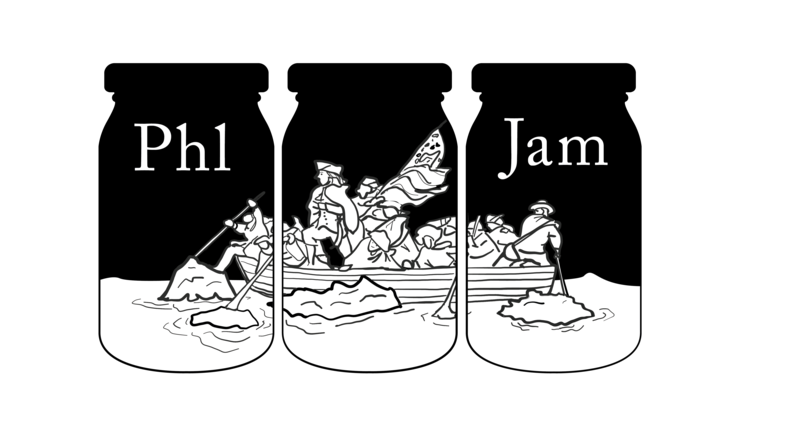 Jams are intensive workshops whose aim is to explore and analyze complex ecosystems by building on each others’s ideas in order to discover and prototype innovative solutions. The Global Service Jam is a non-profit event which has been set up to promote the discipline of service design and learn design techniques, share ideas & experiences and make new friends in a super-charged & fun filled environment. 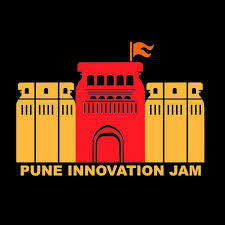 Join us at the Pune Service Jam event that will happen at MIT Academy of Engineering campus. 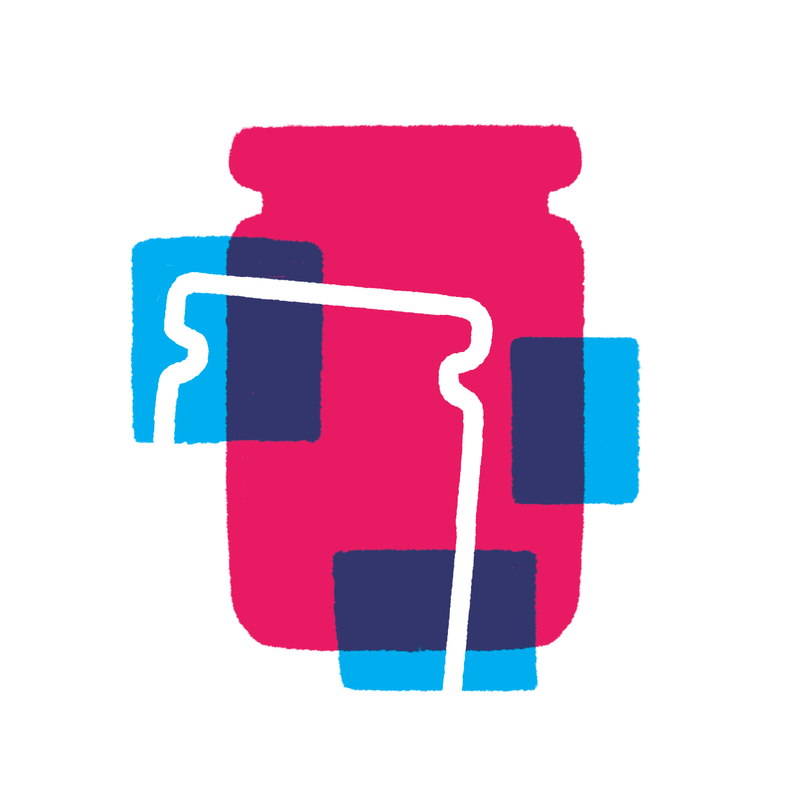 Dublin Service Design Jam is a fun and funky chance to develop your design skills and fix some frustrations we face. 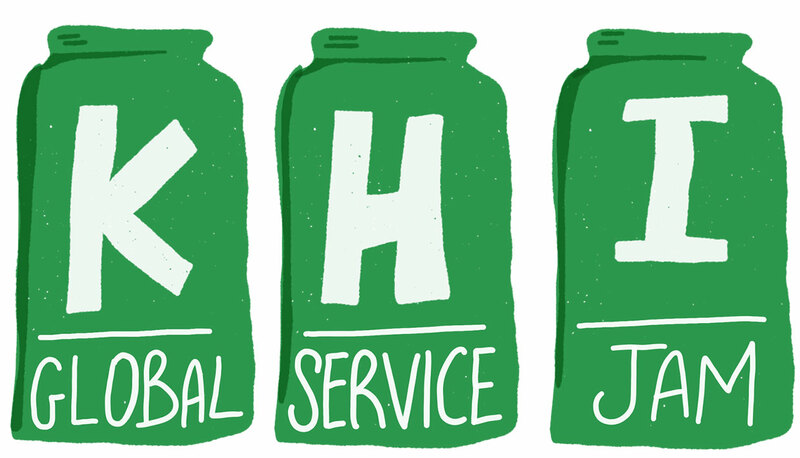 We're very excited to announce the first ever Service Design Jam in Limerick. Teams will be coached on a variety of methods such as Service Design, Design Thinking, Lego Serious Play and Jobs to Be Done to develop a brand new service inspired by a shared theme. We look forward to welcoming you for what will be 48 hours of collaboration, creativity, rapid experimentation and guaranteed fun. 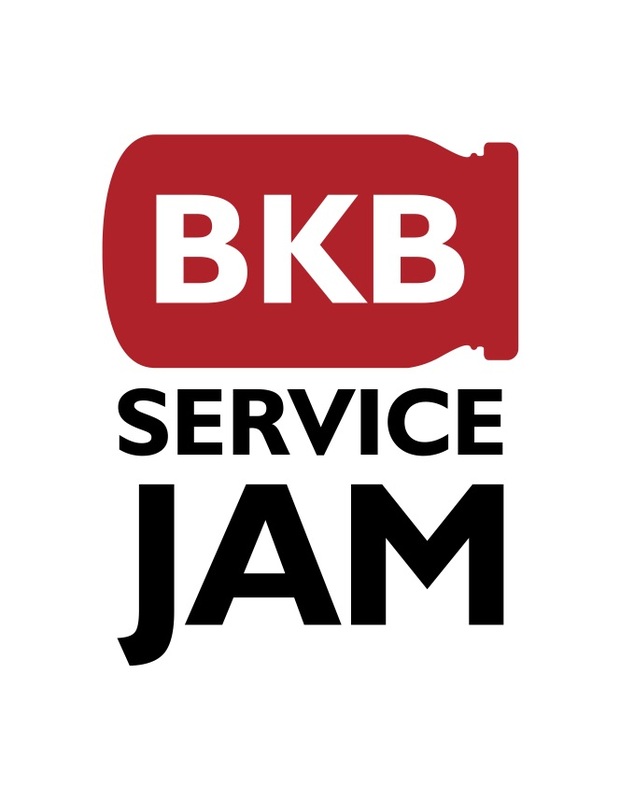 The Service Jam of the city of Bologna is back! After a brief hiatus, the historical service jam of Bologna is ready to rock your 2019 with a brand new edition, new ideas and a staggering new team of old and fresh faces. Here in the land of slow growth and shortages, a new hope arises as we get together to celebrate our similar mindsets and collaborate to produce better services for a better future, in an environment of creativity, passion and true sense of productivity "jammed" in a single weekend where you get to work with strangers who are familiar the most , and innovate better services whether you're a professional or an entrepreneur. An event for innovators in Kuwait City at the weekend of the last week of March to develop new innovative services it Targets -People who are working in service design. -students, academics (20 - 30) years old. -Entrepreneurs. For the first time, Riga will join glob​al community of innovators and service jammers. With friends and co-organisers from Latvia, Lithuania ​and Estonia, this is promising to jam with a truly International flavour, bringing togeth​e​r professional​​s, students and service design enthusiasts for 48h of Jamming to change the world. See you there! During two exciting days, people all around the globe will come together for 48 hours to develop brand new services inspired by a shared theme. From Santa Marta to Miami and Brasília to Berlin professionals and students of various backgrounds will meet at 50+ locations of the world to spend a weekend creating new exciting services. This intensive 48 hour global event is aimed at bringing together people from all backgrounds to prototype solutions to real problems inspired by a shared theme. In 2016, we were the first Jam held in Mexico! Since then our community has been steadily growing. This year, we partnered with one of the most important agencies in our country to Jam with you! 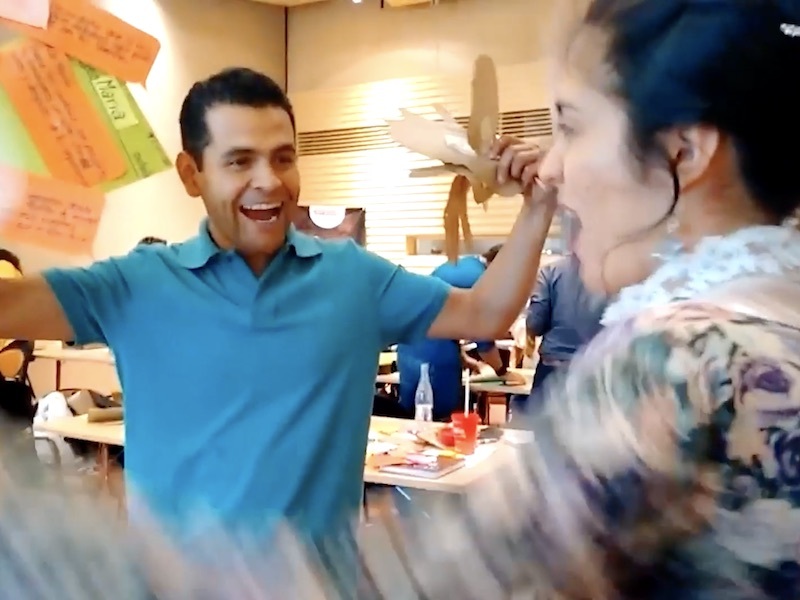 For 48 hours, you will learn how to service design while having a lot of fun! 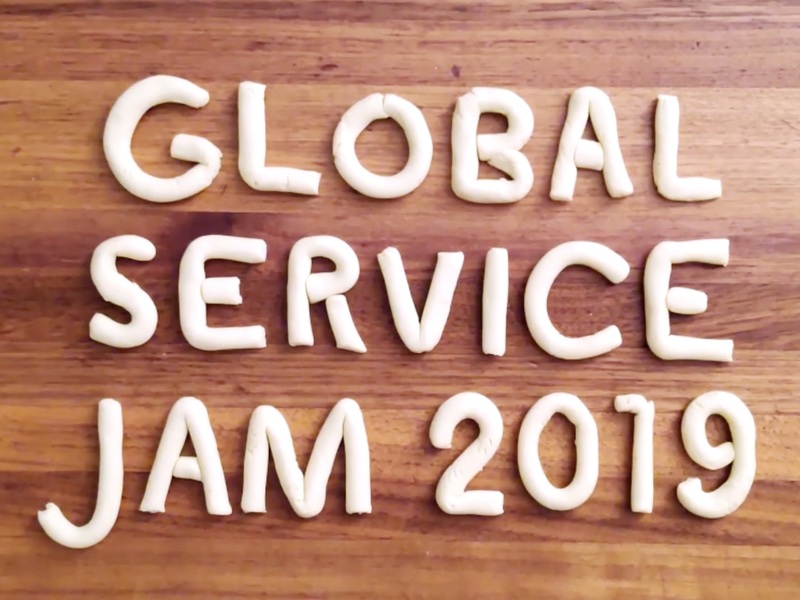 Global Service Jam will be organized in Chisinau for the first time. We will bring together aware people from different areas and will create a space for idea development. Design-thinking is a very creative method to push the changes in society. So, let us create common good wave of Chisinau's ideation. An event for innovators in Casablanca City at the weekend of the last week of March to develop new innovative services. It targets: all people who are interested in designing services using innovative methods. Whether you're a designer, researcher, entrepreneur or a stay-at-home mom of two wonderful kids, if you have the drive in you to take an idea from inception to prototype, the Islamabad Jam is the place for you. Working together with co-citizens from around the city, you will design solutions for the world's next billion users in an exceptionally fun and creatively stimulating environment. There's a reason we're calling it a Jam and not a Challenge. But here's the catch: the theme of the jam will only be revealed to you on the day of the event, and you will have 48 hours to start and finish. Join us for the first time in Karachi, where we get together to solve real world problems through design. We take you through Human Centered Methodologies where you will learn to research, ideate prototype and present your ideas. Swing by the Hive, meet great people and have lots of fun doing creative things! El Lima Service Jam es parte de una iniciativa global que busca conectar a las personas apasionadas por el diseño de servicios. Equipos de distintas ciudades a lo largo del mundo tendrán que partir de un mismo reto y diseñar en 48 horas nuevos servicios, desde la investigación hasta el prototipado. ¿Te animas a acompañarnos? W tym roku w Katowicach uczestnicy spotkają się na kreatywnej przestrzeni Tenka w dzielnicy Załęże i będą angażować się w zespołową pracę nad wyzwaniami, żeby znaleźć innowacyjne rozwiązania z potencjałem do wdrożenia. W trakcie spotkań będziemy zachęcać do eksperymentowania i kreatywnego myślenia. Utworzone interdyscyplinarne zespoły będą miały 48 godzin, aby zgłębić obszar problemowy, znaleźć pomysły, stworzyć i przetestować prototypy oraz zaprezentować swoje projekty. Już po raz jedenasty organizujemy krakowską edycję Jam'ów poświęconych projektowaniu usług. 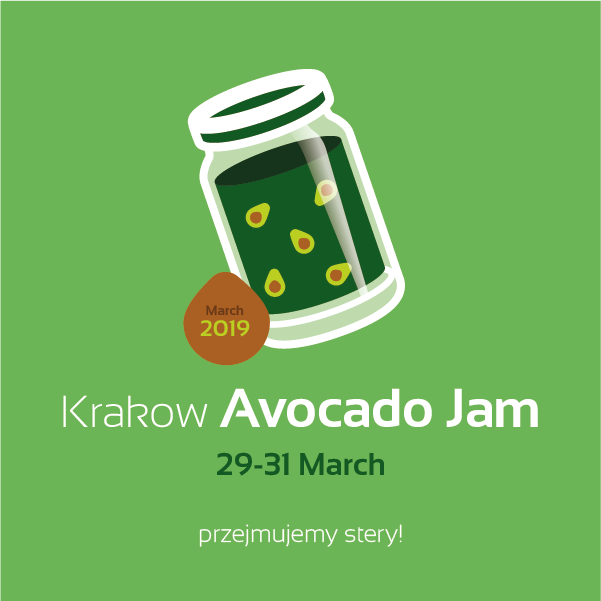 Ideą tegorocznej edycji Krakow AvocadoJam jest: „You have 48 hours to change the world...". Na wydarzenie zapraszamy 40 uczestników z różnych specjalizacji. Nad ich pracą czuwa zespół mentorów na co dzień zajmujących się projektowaniem usług oraz szkoleniami Design Thinking. To 3-dniowe warsztaty, na których uczestnicy będą zaznajamiać się z narzędziami service design thinking. Warsztaty skierowane do wszystkich osób, które chcą nauczyć się w jaki sposób tworzyć nowe usługi lub optymalizować też już istniejące. Wszystko po to, by ulepszyć swój produkt. Szczecin Jam 2019 gives an opportunity to come up with a solution to Secret Global Theme and make it real in a group of new creative people. We will solve everyday problems using design thinking, a working method for developing new ideas. People all over the world are Jamming around the same Theme, sharing insights and support globally.We will find together creative solution and bring it to live in way of "doing not talking" rule. You will learn new tools, discover more about how you work and whom you best work with, sharpen your skills and have a great time. Let's jam and join our Szczecin Jam! 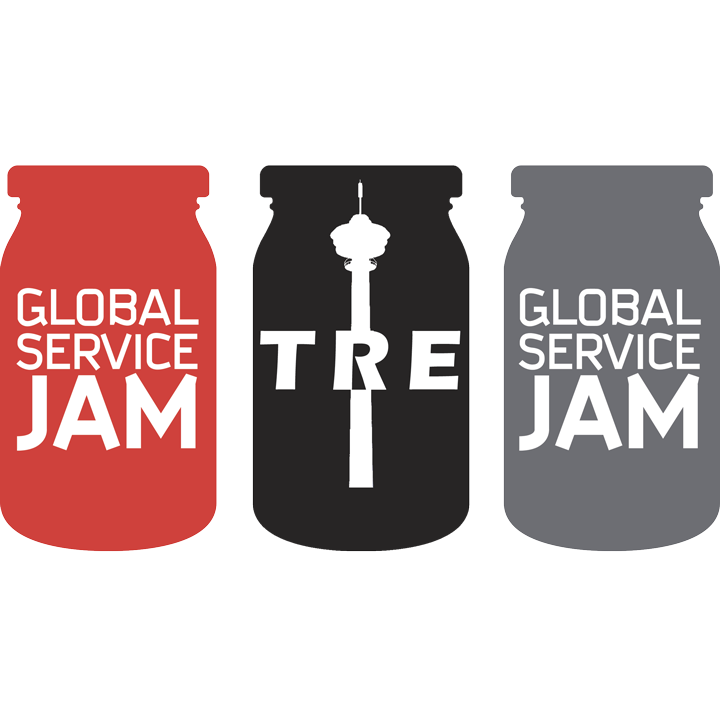 After a short break, Global Service Jam is back in Warsaw! Join us for a weekend of creativity, cooperation, learning and sharing with others on a weekend-long ride with no handlebars. With a space designed for creative workshops, and around 25-30 people attending, we will have an intense, friends-and-family style jam. It just so happens that it is the 6th edition of Wrocław Service JAM! Wroclaw Service Jam is an intensive, 3-day workshop, involving interdisciplinary design teams whose aim is to design a service. The great atmosphere during Wroclaw Service Jam means that there are no limits to the design of services. This is also the case for participants. Dinamismo, criatividade, abertura para a experimentação e competição amigável, são o espiríto do Lisbon Service Jam. É uma iniciativa aberta a todos — portugueses, estrangeiros, habitantes ou turistas de passagem por Lisboa — que se interessem por inovação, design de serviços e novos desafios. Os participantes têm 48 horas para desenvolverem um serviço inovador, inspirado num tema comum a todos os que participam na Jam internacionalmente, sendo que este apenas é revelado no fim do primeiro dia do evento. JaminMadeira is the community in Madeira island which organises and hosts collaborative and creative events such as Global Service Jam, Global Sustainability Jam and Global GovJam. 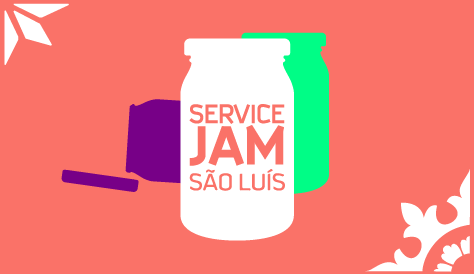 Madeira Service Jam 2019 is the 10th global design jam on the island! Hosted by University of Madeira and Paco Design Collaborative in Funchal, this Jam will see the participation of new and brilliant mentors from different fields of research and practice. 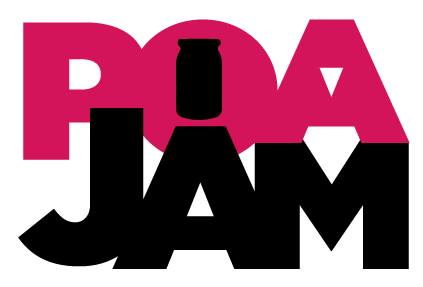 An international event about innovation and service design organized simultaneously in more than 100 cities worldwide. 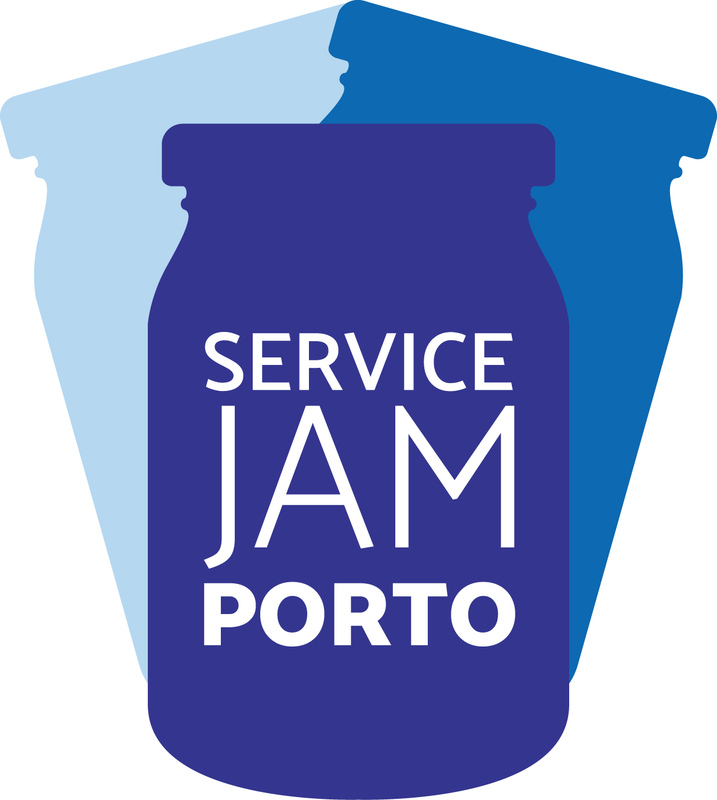 Service Jam Porto invites all those interested in innovation and service design to answer to a common and global challenge. Motivation, creativity, spirit of experimentation and friendly competition will be the motto during the 48 hours of this event. - People who are working in service design. - Students, academics (20 - 30) years old. Come and join the world's biggest (and funnest) innovation event. No matter what your background, we welcome you to 48 hours of exploration, ideation and prototyping creativity – linked LIVE with other locations all around the world. Anyone is welcome! На Service Jam мы покажем методы, применимые в любой профессии, где нужно создавать продукты и услуги для людей: в образовании, IT, дизайне, ивентах, социальном проектировании. Это возможность прокачать креативность, потестировать свои способности и, возможно, найти для себя новое направление деятельности. И точно - научиться новому. Каждый год в последний уик-энд марта сообщество сервисных дизайнеров собирается вместе на Clobal Service Jam. Это 48 часов поиска нестандартных решений для улучшения клиентского опыта с помощью принципов дизайн-мышления. Люди из разных стран и городов собираются в небольшие команды и решают одну общую задачу, которая никому не известна заранее. В результате такого объединения рождаются невероятные идеи и результаты. В Екатеринбурге Clobal Servise Jam пройдет впервые. Присоединяйтесь, чтобы познакомиться с принципами сервисного дизайна и попробовать на практике инструменты дизайн-мышления. C 2011 года сервис-дизайн комьюнити со всего мира собирается, чтобы провести The Global Service Jam - некоммерческое мероприятие, которое объединяет всех у кого есть интерес к теме разарботки сервиса и улучшения клиентского опыта. С 29 по 31 марта сервис-дизайнеры мира будут решать кейсы, делиться опытом с другими участниками и полностью погрузятся в атмосферу сервис дизайн практики. В течении 48 часов мы будем выявлять проблемы, брейнштормить, исследовать, прототипировать, тестировать и находить решения. you don't need to bring something or to be from specific industry, join us to learn, share and having fun. Make it distinctions week end with new people and new knowledge. 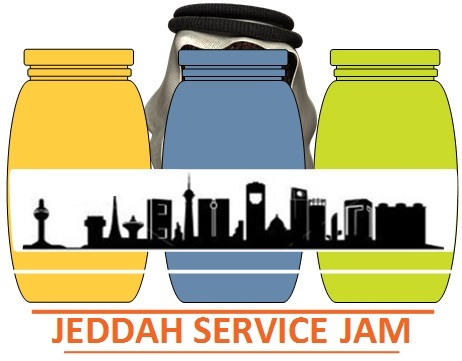 We will be more than happy to welcome you in an Innovative Journey to Service JAM. We will have fun, enjoy our time, and learn about lot of amazing things related to service design and much more. 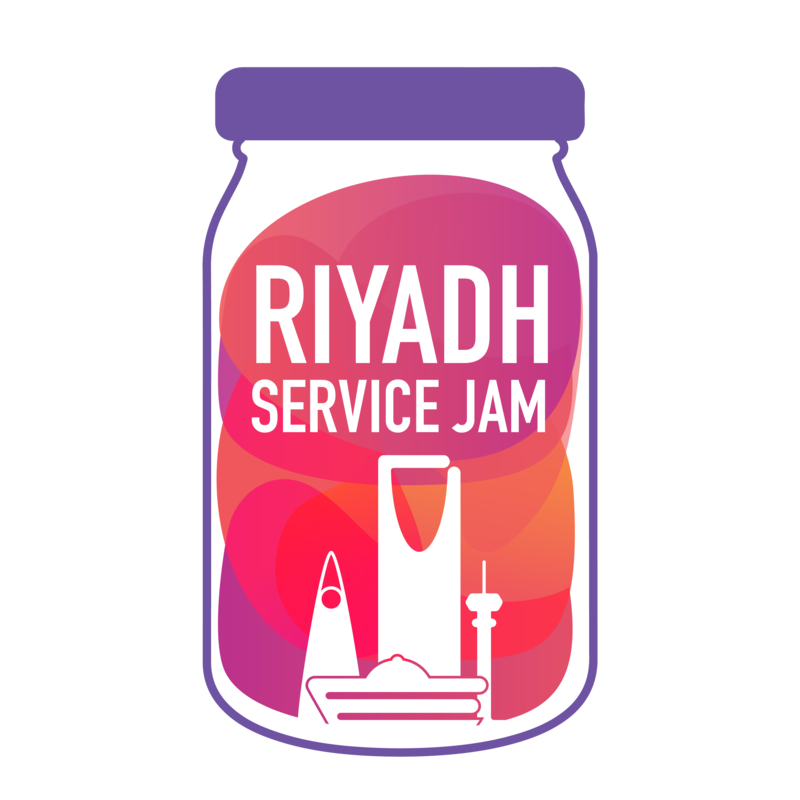 Continuing our annual tradition, we are happy to announce the fourth service jam in our beloved city of Riyadh. We constantly challenge ourselves to make each consecutive jam bigger, better, and more impactful. This year is no different, so if you're an innovator, change enabler, or a design enthusiast, we hope to see you there! We have 48 hours to change the world! Calling all designers, students, creatives, academics, big thinkers, business people, unemployed people, innovators, customers, mums, kids and grand-dads... Join us for the inaugural Jozi Jam and work through *a whole design process* in one weekend. Whether you are experienced or completely new to the field, you won't just be talking about service design, you will be working with others on developing concrete ideas and designs (for a *secret* theme) which could become real. And have bucketloads of fun too. Calling all designers, students, creatives, academics, big thinkers, business people, unemployed people, innovators, customers, mums, kids and grand-dads... Join us for the inaugural Kaap Konfyt Service Jam and work through *a whole design process* in one weekend. Whether you are experienced or completely new to the field, you won't just be talking about service design, you will be working with others on developing concrete ideas and designs (for a *secret* theme) which could become real. Curious about service design? We have 48 hours to change the world - and we're going to have masses of fun at the same time! You could be a student, designer, public sector employee, academic, business person, jobseeker, mum, dad, kid or and grand-dad. You might already know loads about service design, or nothing at all. Just bring along your curiosity and your uniqueness. We will experiment and innovate together for just 48 hours to develop and prototype new ideas inspired by a common global theme. After that, our insights and prototypes will be published to the world. Are you interested in Service Design / Design Thinking? Do you enjoy working in teams? Do you have a-learning-by-doing mentality and want to make new friends? Our jam is the right place for you! We split into teams and work together friday afternoon until Saturday evening. We design and prototype new services inspired by the Global Service Design Jam 2019 theme. We provide the venue, materials and service design inspiration. All we need is YOU, and some magical collaboration. What will you design in less then 20 hours? Up to 30 jammers will take part. We hope you'll be one of them! An event for innovators in Gaziantep City at the weekend of the last week of March to develop new innovative services. It targets - People who are working in service design. - Students, academics (20 - 30) years old. - Entrepreneurs. Istanbul Service Jam will be held at ATÖLYE for the 3rd time on 29-30 March 2019 in partnership with ATÖLYE and Deloitte Digital. 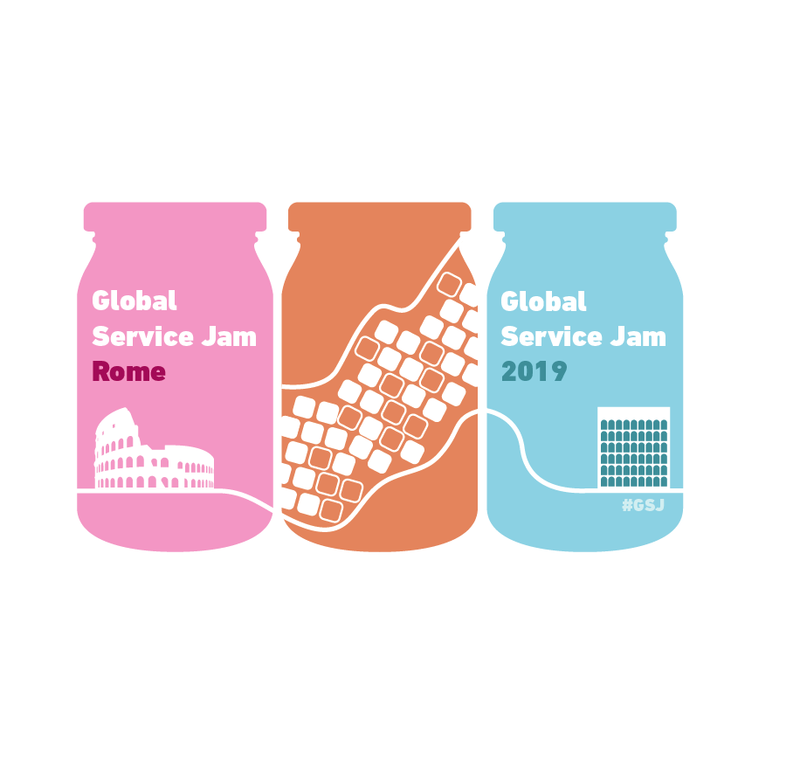 Global Service Jam, which was held in Germany in March 2011 for the first time and spread all over the world since then, has reached more than 15,000 people with more than 900 events in over 200 cities. Istanbul Service Jam has been organized in Istanbul since 2011 and has developed many collaborations with other editions around the world. The event is open for everyone interested in areas such as service design, interaction design, customer experience. We’re looking for people, involved in an experimental spirit, aims to think, produce, prototyping, testing and working around the theme set for that year for 24 hours. 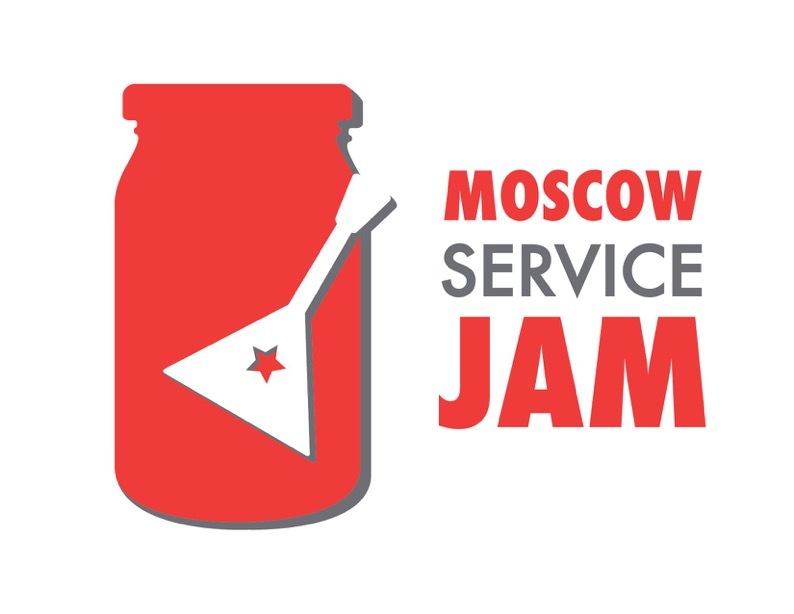 This year Global Service Jam comes to Kyiv again. Last year we were limited to 50 participants. This year we are happy to host up to 150 participants from all around Ukraine! Over 20 mentors will help teams during the jam: designers, product managers, innovators and CX experts. Let's jam! 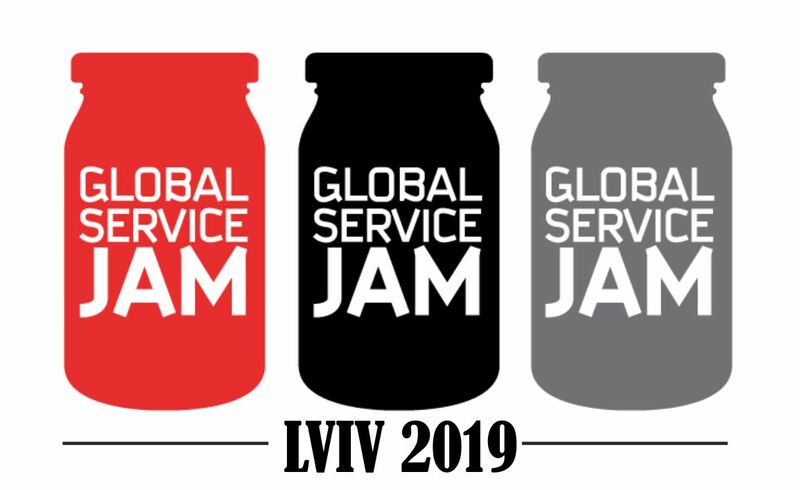 Lviv Service Jam is a design-driven hackathon, it's part of a global movement of jams that are taking place over one weekend in cities across the globe. Join with all kinds of people from experienced designers to interested newbies to design and prototype a service in three days. We will have Service Jam in Odessa for the first time. We expect it to be fun and full of fresh ideas. Participants will found out more about design thinking concept. We are waiting for around 50 people, who are interested to collaborate. We're back with a bang for this years jam and we need your help! 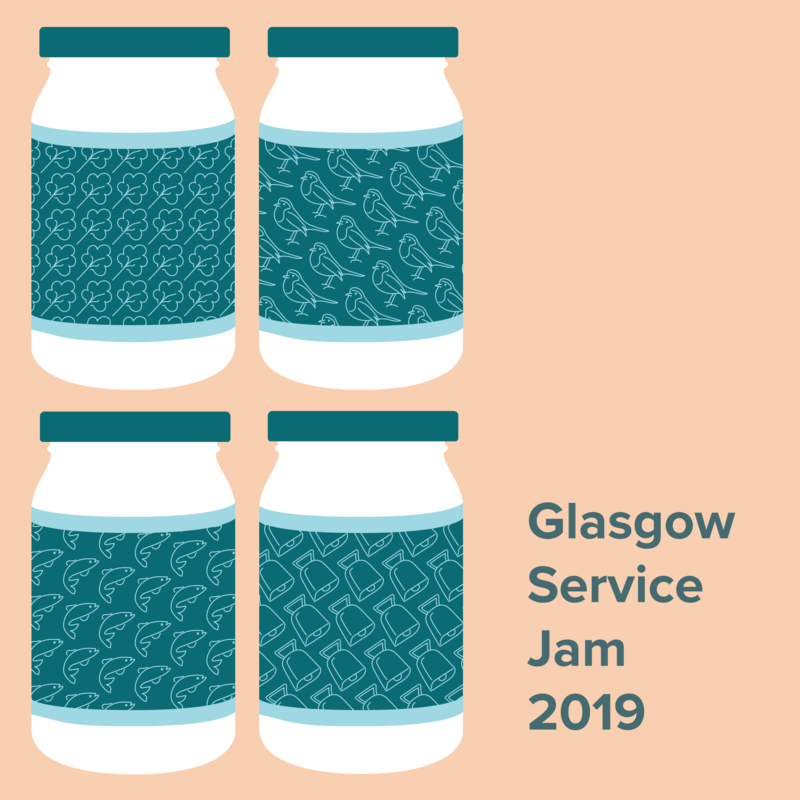 Come and join us for an awesome weekend of creativity, innovation, hard work, fun, learning and fulfilling activities as part of the Global Service Design Jam taking place on 29-30th March 2019. You got 48 hours to change the world using design! Expand your knowledge, connect with people and use your creativity to create services inspired by a secret theme on a thrilling weekend (29-31st March). No previous knowledge or experience required! All you need is your brain and a will to make a positive impact in the world. Spaghetti Jams are back after a 2 year hiatus joining the Global Service Jam for the 4th time in Birmingham. Once again, we'll come together for a weekend of design, collaboration and serious play to build some interesting ideas in response to a global theme. 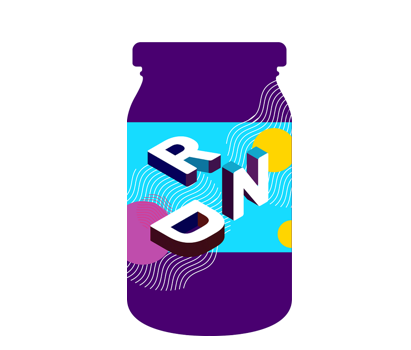 Brum Service Jam is open to people from all walks of life so come join us and seize this unique opportunity to flex your creative muscles, meet new people, learn about range of design methods and pick up some new processes and tools. Dundee is back for the 7th year running to deliver a world-class jamming experience. Open to all we aim to provide a weekend of applied design with some great mentors and interesting challenges to show you how design can be used as a tool for change. Leeds Service Jam is an chance to try out some new stuff. Meet some strangers, work together on a global theme and create a solution. You don’t need to have done anything like this before - come and learn with others who haven’t either. You’ll share thoughts and ideas, but you’ll see how it is more important to try things to learn more. Focus on doing things even if they probably aren’t fully thought through and be ready to accept when they don’t work out. If you’d like to join us, we’d love to see you, between now and the jam you can connect with us at @GSJLeeds! For the past 8 years, the Service Jam London has been an annual event held during a weekend that brings people from across many disciplines together to generate amazing service ideas. Participants come together, ideate, problem solve and present their service ideas - all in 48 hours! It's an intense and fun weekend where you will meet a lot of people in an environment with a healthy spirit of competition, plenty of experimentation, and lots of cooperation. We hope to see you there! Manchester Service Jam is an event in Manchester where people from all backgrounds will join forces, roll up their sleeves and have fun, all while solving a brief that will involve Service Design. This shall happen in the spread of two weekends: Saturday 23rd March, where we will introduce you to design and teach you some of the tools and methods to participate, and the following weekend as the official Global Jam weekend - where you get to put your new found skills into practice and learn by doing. Jammers of all experience and backgrounds are welcome! We'll have a fun 48 hours learning about service design approaches, methods, and tools, while putting it into practice. Whether you've jammed before or not, we promise there is something for everyone. Jammers are designers, artists, business people, mothers, community members, students, legislators and citizens. They meet with one goal in mind: to create, prototype, and publish a new service in less than 48 hours. The DC Service Jam is a weekend-long workshop to develop new services, using design thinking tools like brainstorming, user research, and rapid prototyping & testing. After revealing the Jam’s secret theme on Friday night, we’ll break into teams and start working to identify and understand a real-world need, ideate and prototype concepts, and deliver a solution by Sunday PM! Change Agents welcome! Service Design Jam happening the last weekend of March here in Grand Rapids. In 48 hours, you and a diverse bunch of colleagues, friends and complete strangers will design a brand-new service and present it to the rest of the world. Often, designers are asked to design the artifacts of an experience but not the overarching service experience itself. A series of collaborative group activities will empower you to apply design tools to an intangible service experience. We are a non-profit organization based out of Houston called Design Thinking and Innovation. We believe in spreading words on Design mindset. 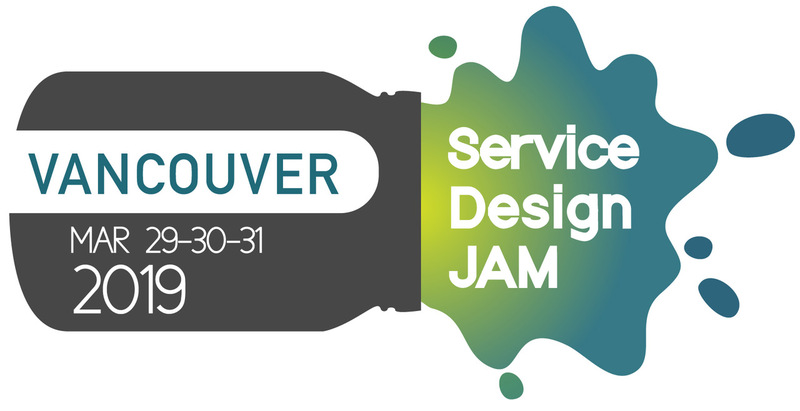 Global service Jam provides an opportunity to learn service design concepts in a fun way. So we Jam! The Service Design Squad of Clutch invite you to join us for a weekend-long service design workshop. Our goal is to create a service prototype, while exchanging ideas and techniques with each other. We will use design thinking tools (such as research, visualization, and rapid prototyping). All levels of expertise, from beginner to expert, are welcome to join in the fun. San Diego Service Jam is a weekend-long service design workshop to develop new services, using design thinking tools like brainstorming, user research, and rapid prototyping & testing. Both newbies and experts are welcome. You'll walk away with new tools for your service design toolkit, share a few scrumptious meals with new friends, and create solid service prototype with a team of fellow designers. Grab your space boots, and join us at JAM HTX 2019! 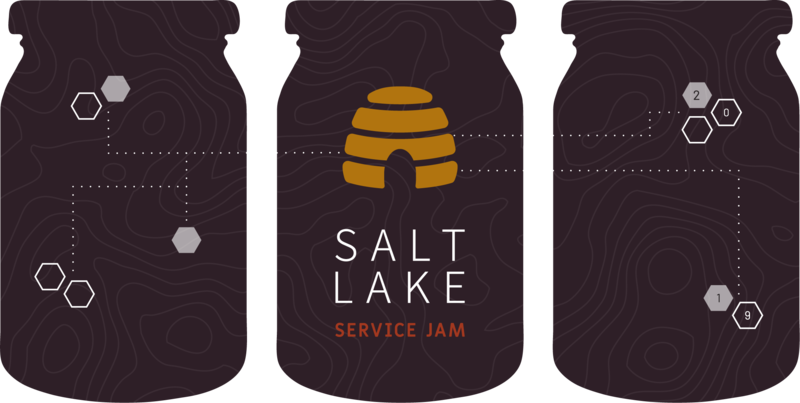 We're super excited to join the Global Service Jam for our second year. It'll be an incredible opportunity to meet other jammers, hone your design skills, and strengthen your creative muscle. Remember you don't need to be a designer to jam. Bring an open mind and be ready for a weekend full of ideas, learning, and fun. Throughout the weekend, you will: • Learn the service design approach to problems • Pick up new ideas and work practices • Meet cool people at all experience levels • Share work and ideas with peers both locally and around the world • Have a blast! The only requirement is your passion, imagination and inner rock-star. 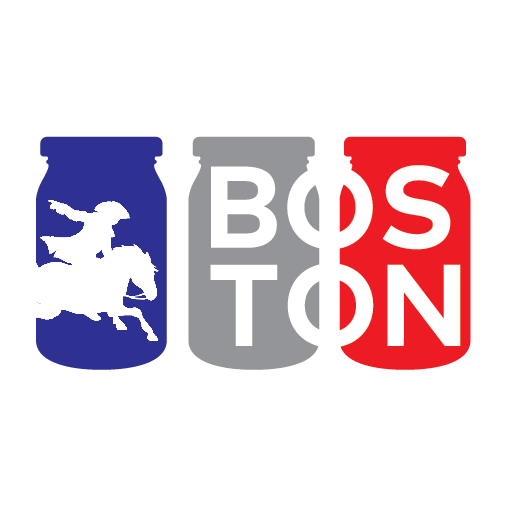 We are working to secure sponsors to cover cost of supplies and meals throughout the Jam. If this sounds like you, please email jennifer@belowthefoldkc.com or sarah@curiouspixel.com. Solving the biggest challenges we face today, both locally and globally, will require innovative thinking and collaboration. In order to work towards meaningful impact, our community must come together to design brand-new ideas for services, products, organizations, and more. Join a diverse group of curious and passionate Angelenos for the annual Los Angeles Service Jam. In just one weekend, participants will combine their collective intelligence and use a human-centered design approach to creatively solve complex issues. Everyone is invited to join! Come practice, play and learn with us! 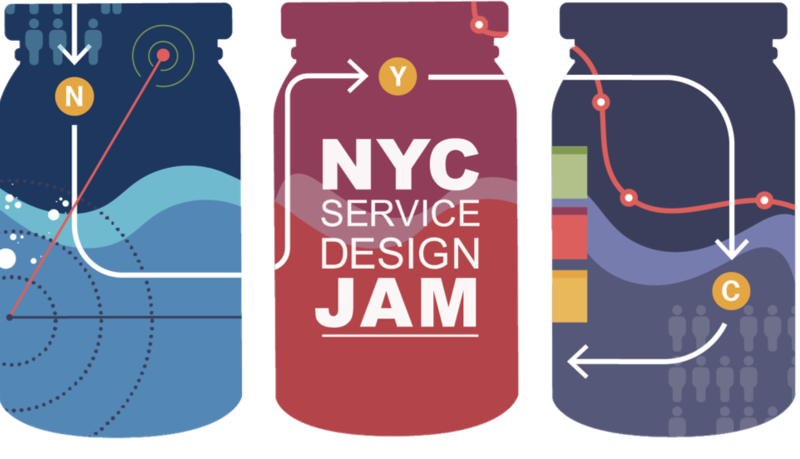 Tickets on sale Early March Join us in March for the annual Global Service Design Jam in NYC! We bring together a diverse group of thinkers and makers for a weekend of collaboration, investigation, friendly competition (and definitely some dancing!). Across the weekend, teams can expect to create new services through an human-centered design process. Our mentors are there to guide you through the process and we end the event with a full-team share-out. 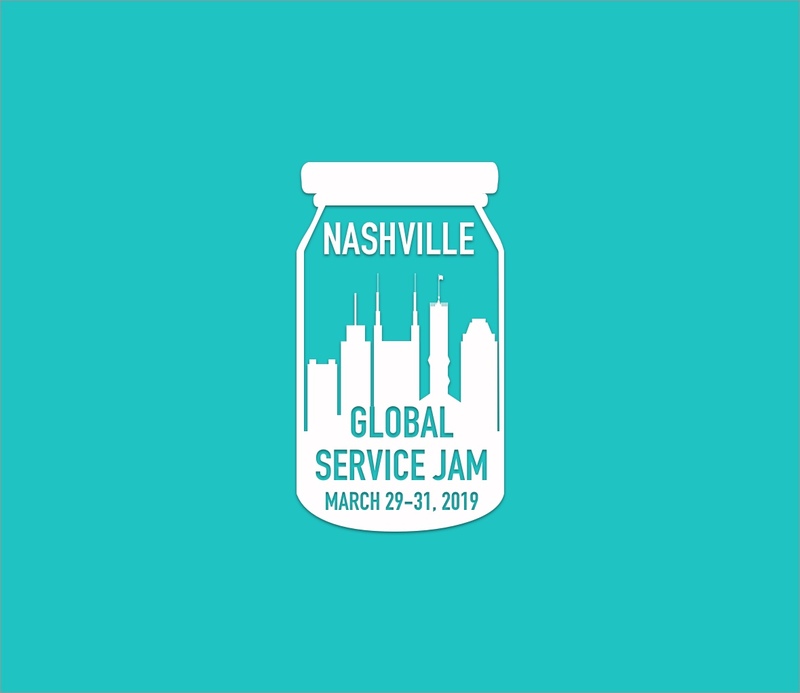 This will be the Nashville Service Design Jam's second year hosting the Global Service Jam. Nashville is a growing city filled with new opportunities and new people with new perspectives. Our goal is to bring all these wonderful people together from all walks of life in order to learn about service design and have fun while creating something awesome! Our event promises to challenge you, educate you and get you energized to find new ways of applying service design methodologies to your everyday life. The PHL JAM is an amazing weekend-long service design extravaganza. All levels of expertise, from beginner to expert, are welcome to join in the fun. We want to bring the city of brotherly love and sisterly affection together for 48-hours of fun hands-on service design learning. Bring an open mind and your passion for service design. Our Jam Coaches will push everyone out of their comfort zone and provide new ways to solve complex problems. We are fortunate to have our jam hosted by the City of Philadelphia's Innovation Lab and supported by Navigate Corp. 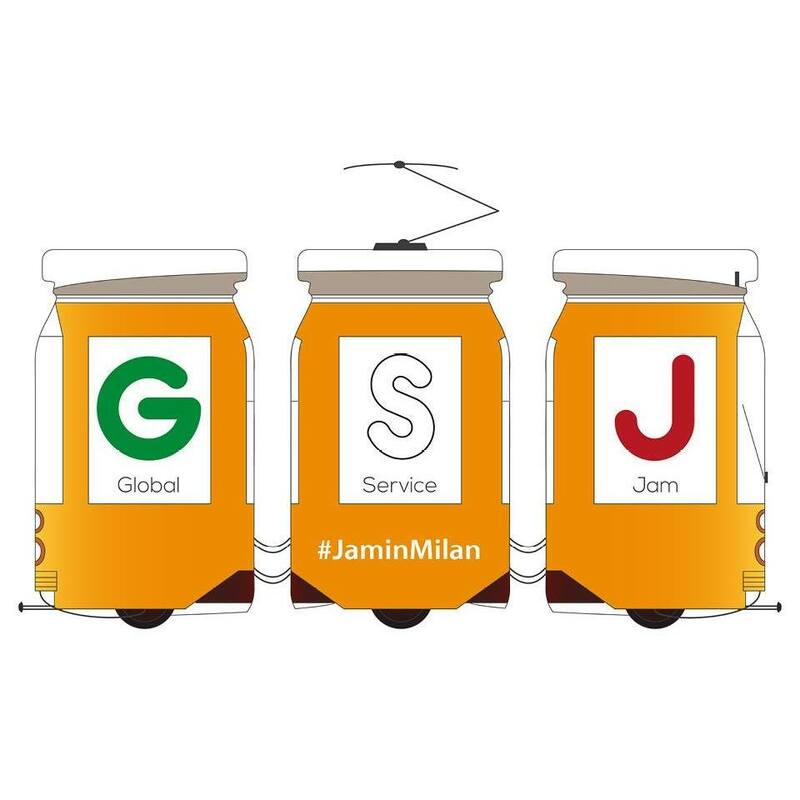 The Global Service Jam is a non-profit volunteer activity organized by an informal network of service design aficionados, who all share a common passion for growing the field of service design & customer experience. This year we're hosting the first one in Salt Lake City and we welcome everyone to come be a participant! 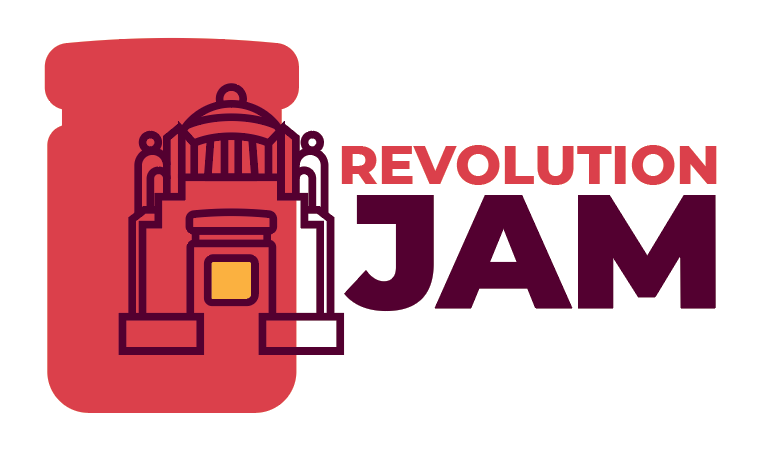 Check out our website archive of the Global Gov Jams from 2012 to 2018 at http://planet.globalservicejam.org.